Big Winner for our Ugly Sweater Holiday Shopping Open House! 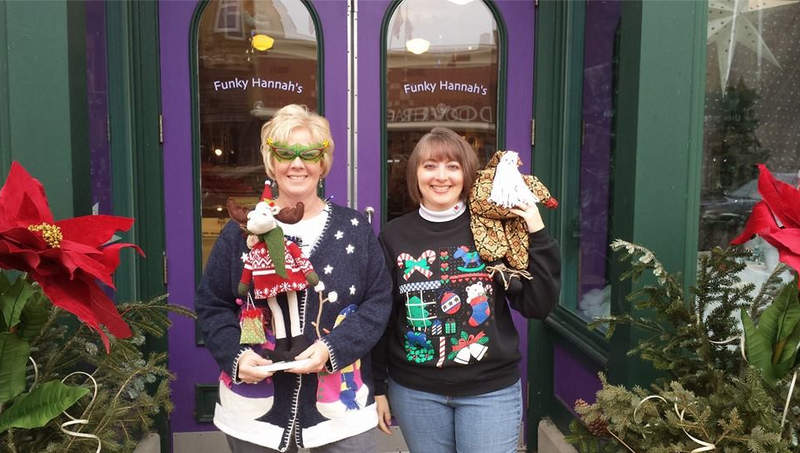 Downtown Racine’s Holiday Open House was Saturday December 12th! 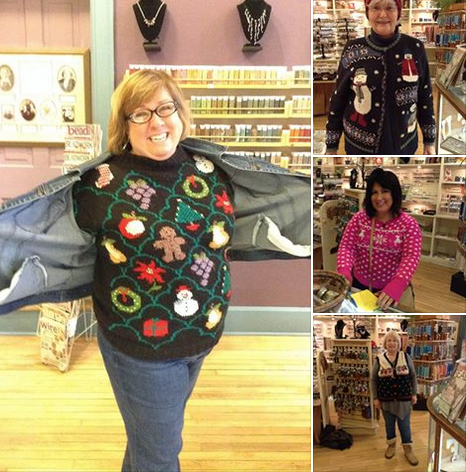 Lots of ladies (and a few gents) shopped and had fun throughout the charming shops in downtown Racine. Many took advantage of our loads of inspiration, quick, easy & inexpensive gift ideas you can make plus a great selection of earrings, bracelets and necklaces we have made that you can purchase! Don’t worry, our employees are not eligible for this prize….as you can see from the photo above, there was stiff competition!